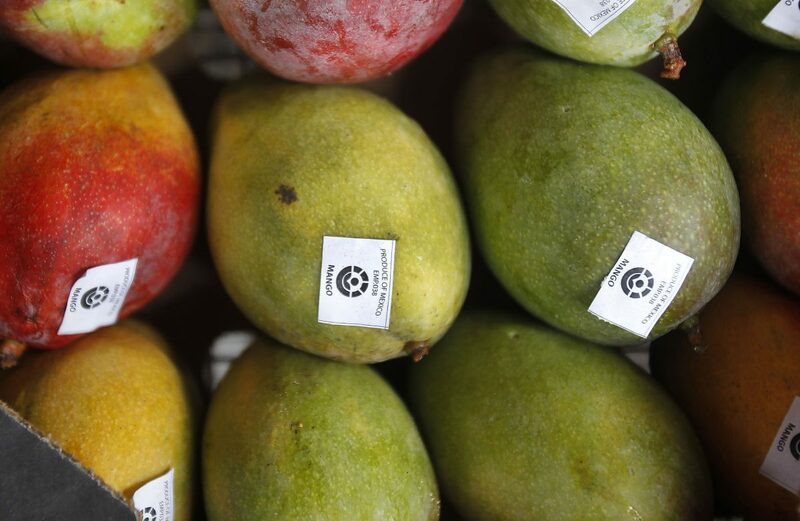 McALLEN — Mangoes, onions, limes and avocados were loaded and unloaded onto truck after truck Thursday at the McAllen Produce Terminal Market just hours after the Trump Administration notified Congress of its intent to renegotiate the North American Free Trade Agreement. 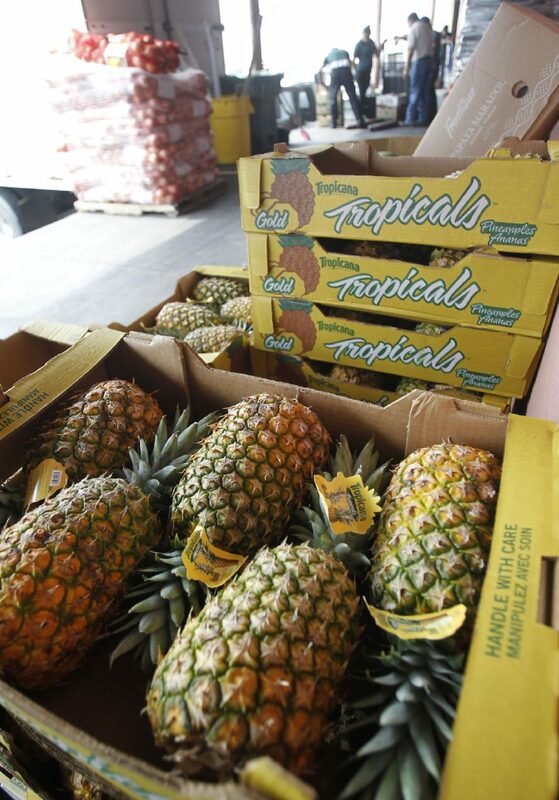 It was business as usual at the produce terminal. Workers marked off new shipments, wheeled produce onto trucks and sipped sodas under the blazing sun. “It’s different to say all these things and another to live it,” said Joe Caraza, a salesman at Treal Herbs and Spices, while holding shipment receipts. U.S. Trade Rep. Robert Lighthizer expressed intent to renegotiate the two-decade old agreement in a one-page letter to Congress on Thursday. This was first formal step the administration has taken to renegotiate NAFTA, which is often credited with transforming the Rio Grande Valley. Thursday’s notification triggers a 90-day clock before the United States can sit down with Mexico and Canada. Between Thursday and mid-August, the Trump Administration is expected to meet with members of Congress as well as stakeholders. 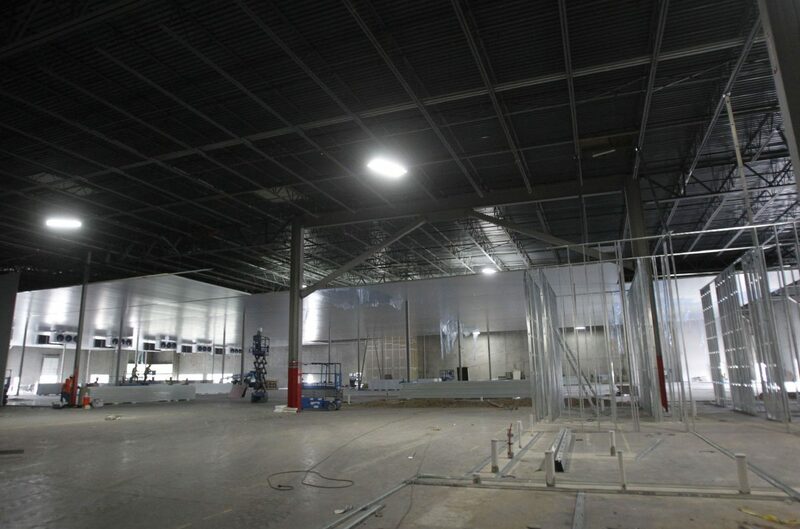 The interior of a warehouse under construction for ScanTech Sciences, a developer, manufacturer and operator of food treatment systems and facilities, is seen Thursday in McAllen. It will be ScanTech's second building in the Sharyland Business Park as it expands operations on the border. U.S. Rep. Filemon Vela, D-Brownsville, reacted cautiously to the notification. Texas Republican Sen. John Cornyn, U.S. Reps. Henry Cuellar, D-Laredo, and Vicente Gonzalez, D-McAllen, all welcomed the notification positively, especially considering Trump weighed withdrawing from the agreement altogether in March. Gonzalez called on the administration to work with Congress to help create jobs and grow the South Texas economy. Cuellar explained how he’s been working to improve the trade deals. “If the Trump administration is sincere, I am more than ready to roll up my sleeves and work with them, to forge a deal that boosts American jobs,” Cuellar added. Keith Patridge, president and CEO of the McAllen Economic Development Corporation, said he thinks there will be changes regarding the country of origin marking rules. But besides that, and other marginal modernizations, he said he doesn’t see many substantial changes. “I think that it won’t be as drastic as people thought,” Patridge said.